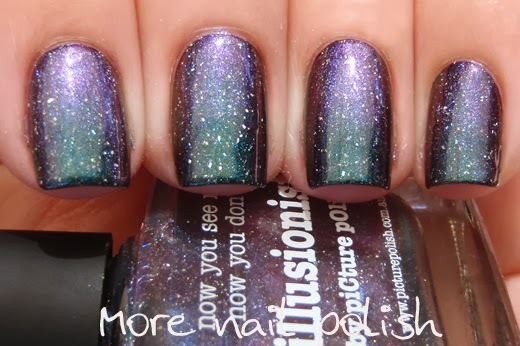 Picture Polish Illusionist combines the multichrome effects of the old Ozotic 505 with the signature Picture Polish holo flakes. It's discontinued Ozotic cousin is Mish Mash 532. Illusionist shifts from turquoise green to purple to pink. 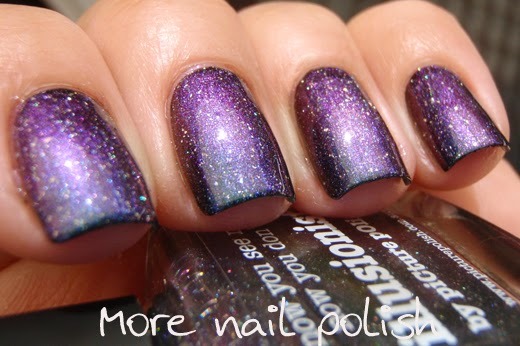 This polish is designed as a layering polish, and I did two coats over black for these photos. It can be built up and worn without a dark base and opacity is achieved after three coats, but the finished look is completely different to when it is layered over black. Look out for the last post tonight where I have taken a photo of all the new polishes swatched as a skittle without a black base. 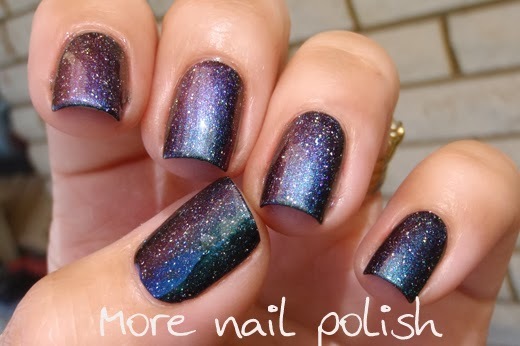 I'm actually liking the options available to me because these are layering polishes. It means I can get completely different looks out of the one polish by layering it over a different colour, or wearing it on it's own. 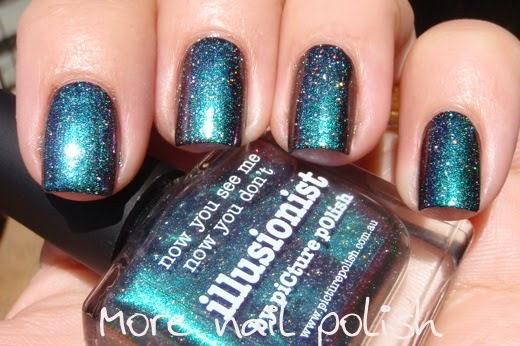 Picture Polish Altered State is a limited edition polish and will be AUD$13.50 from Picture Polish online. It's not on sale just yet, but I'm told it will be sometime this month. 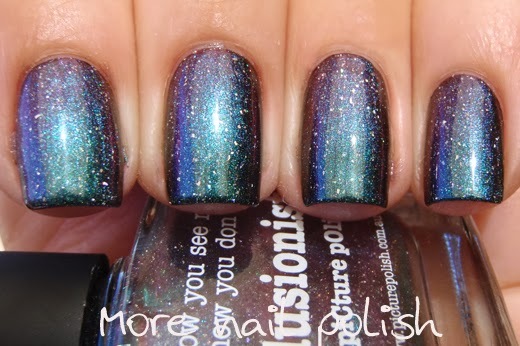 I recommend you follow Picture Polish on Facebook to ensure you know when it's released. 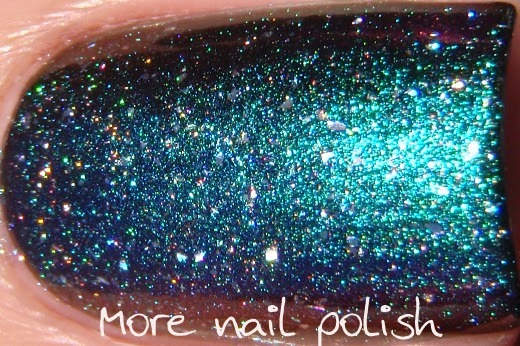 I love the holo sparkle in this one, that macro is yummy!